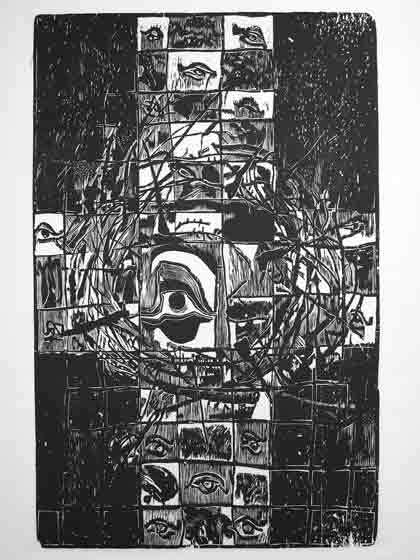 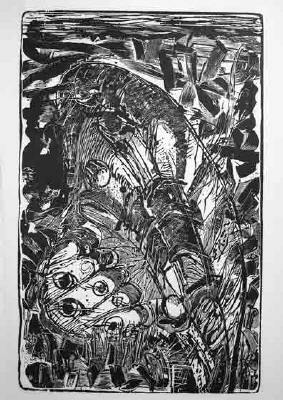 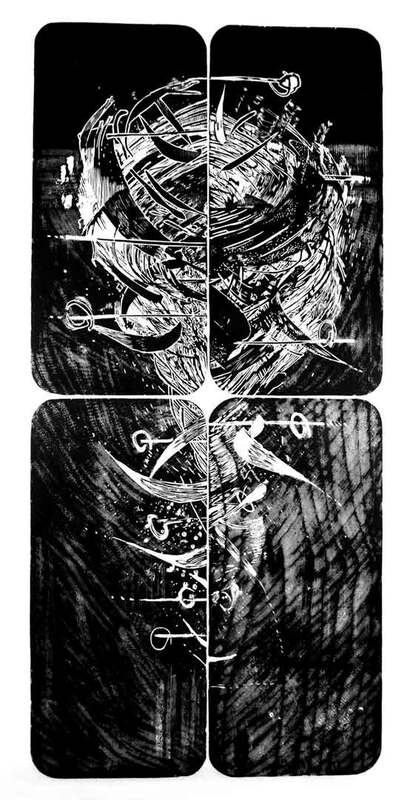 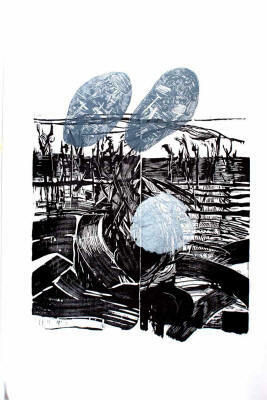 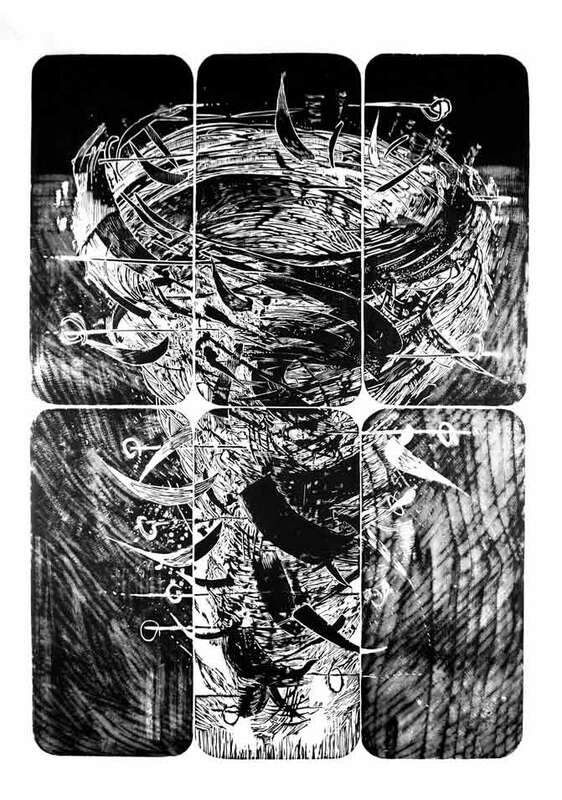 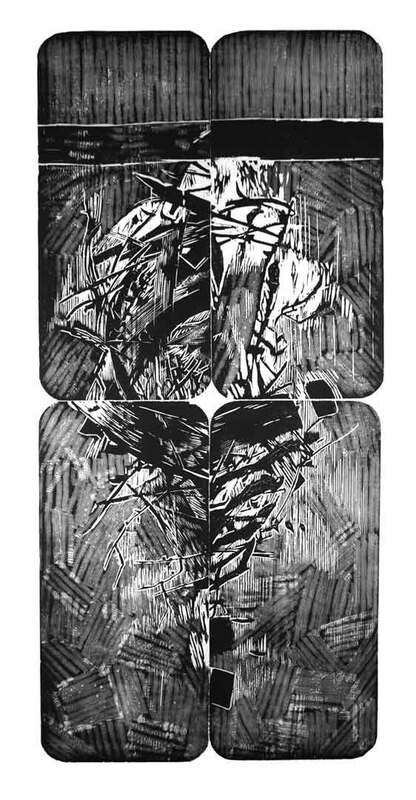 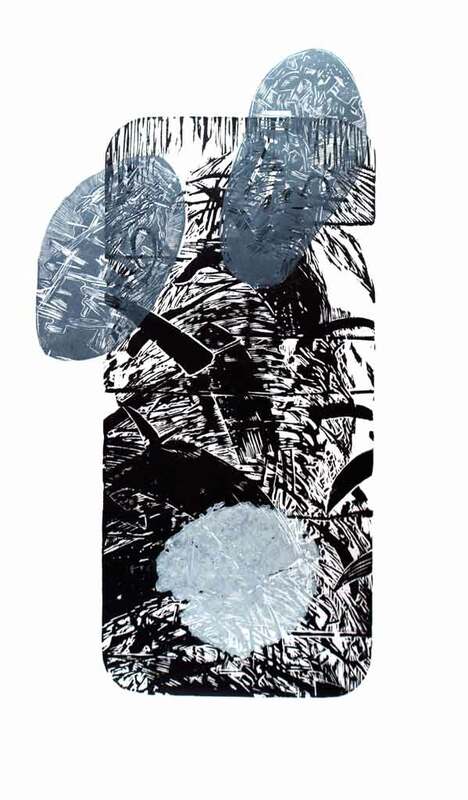 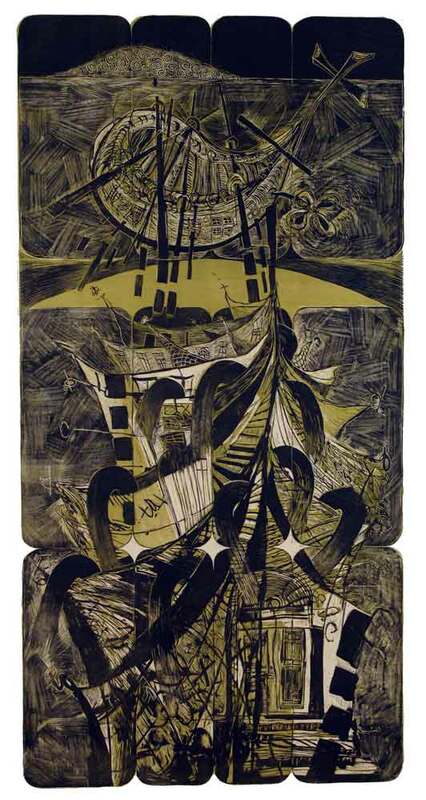 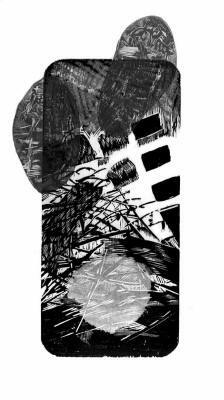 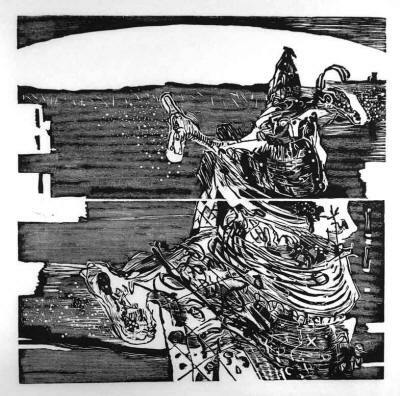 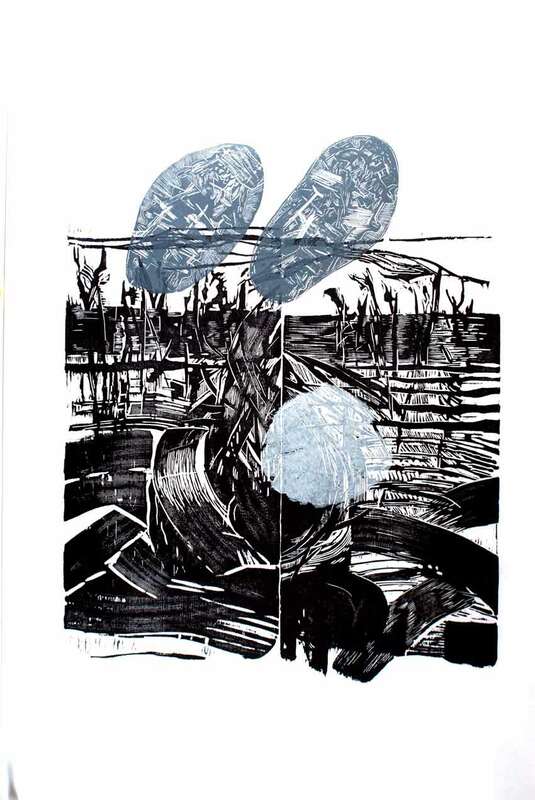 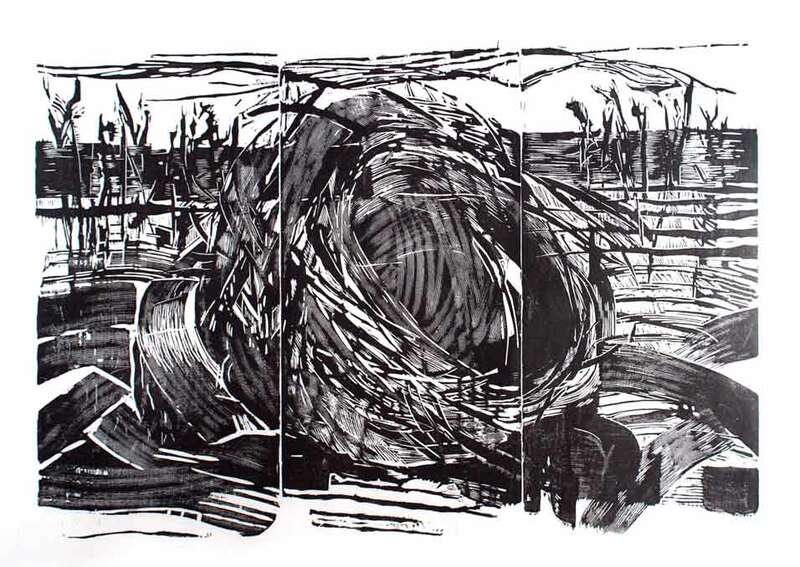 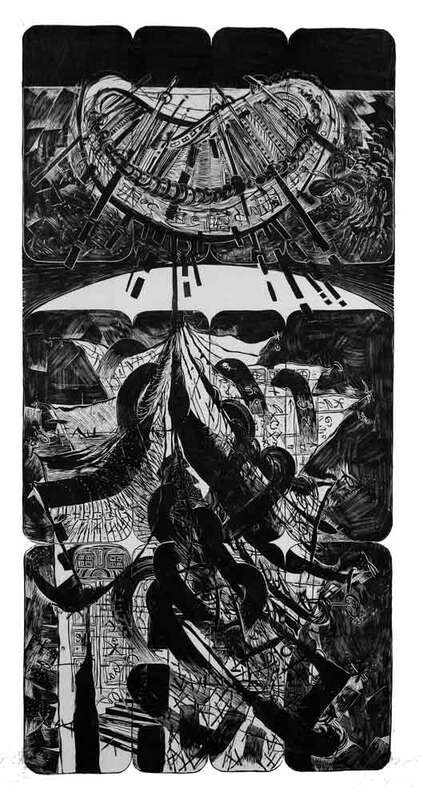 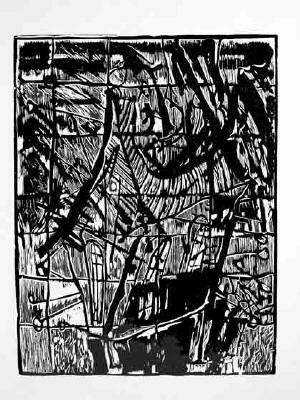 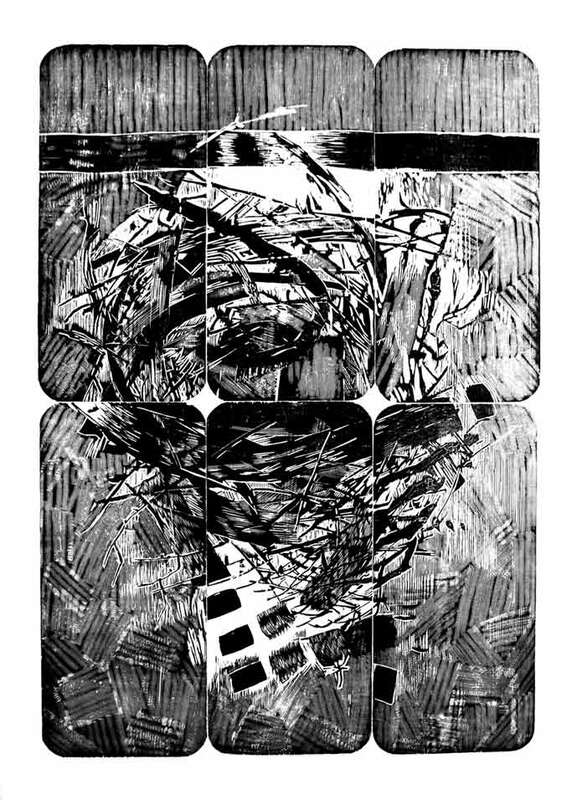 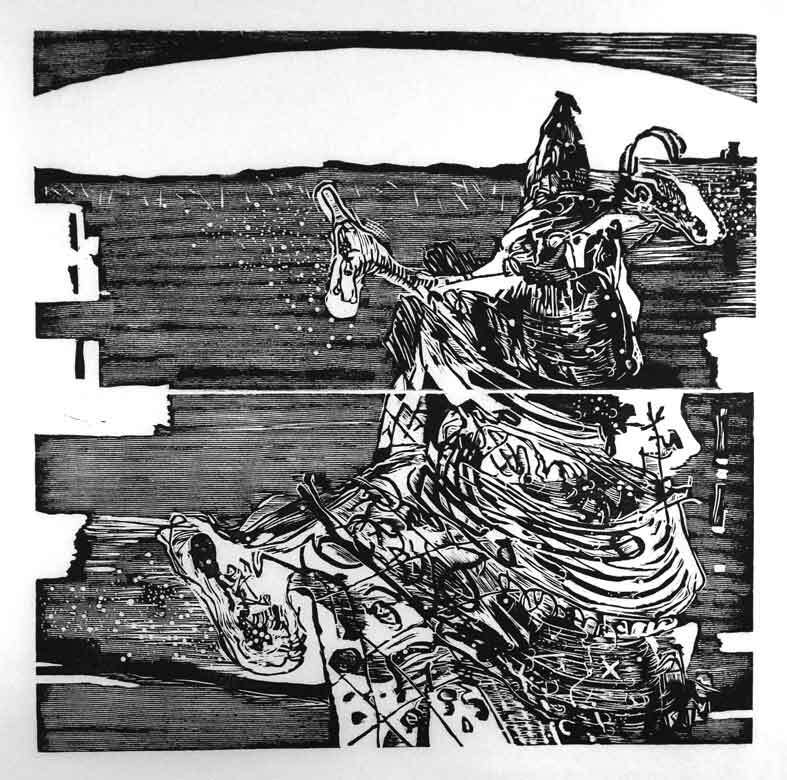 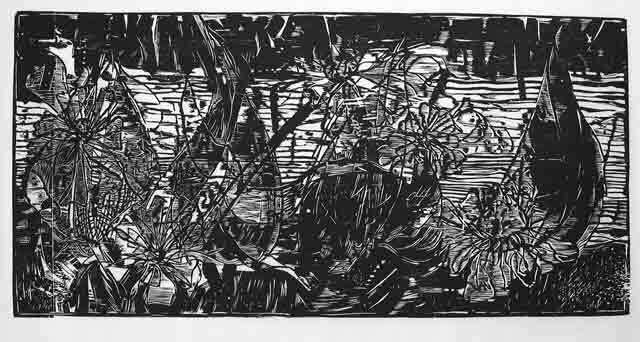 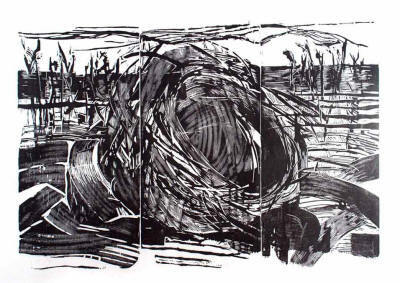 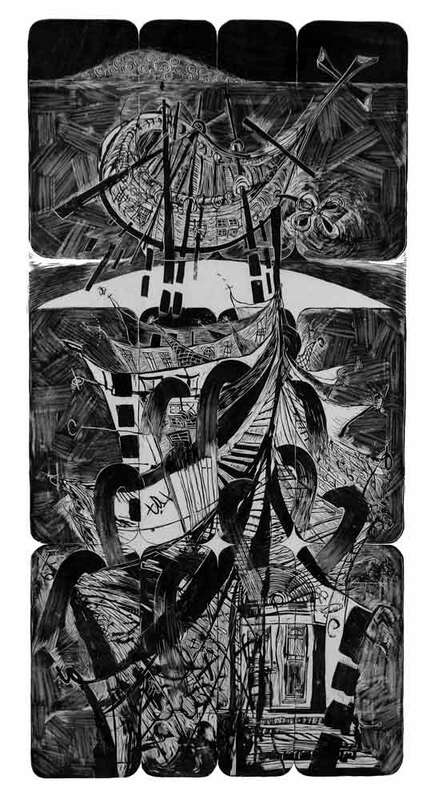 Black and white woodcut, printed on Japanese paper. 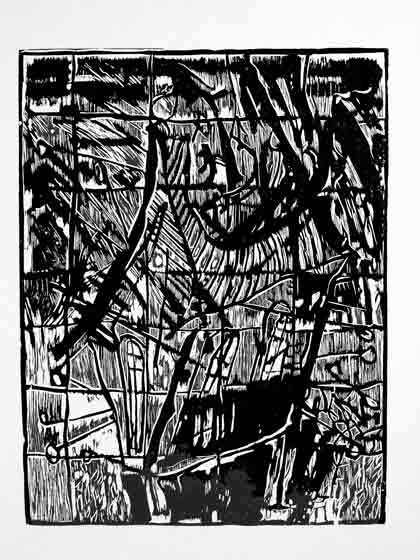 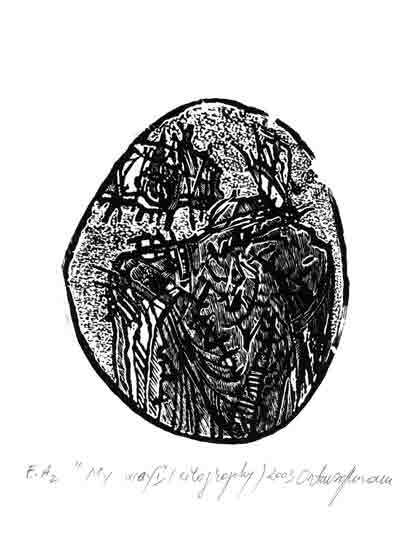 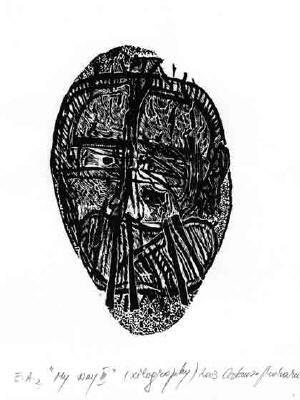 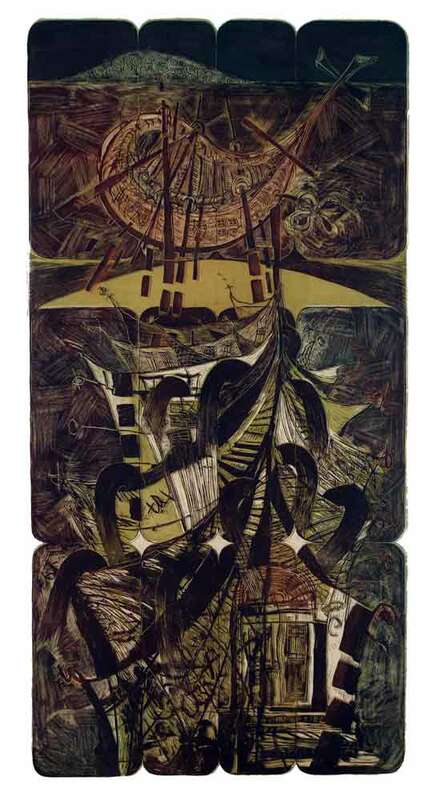 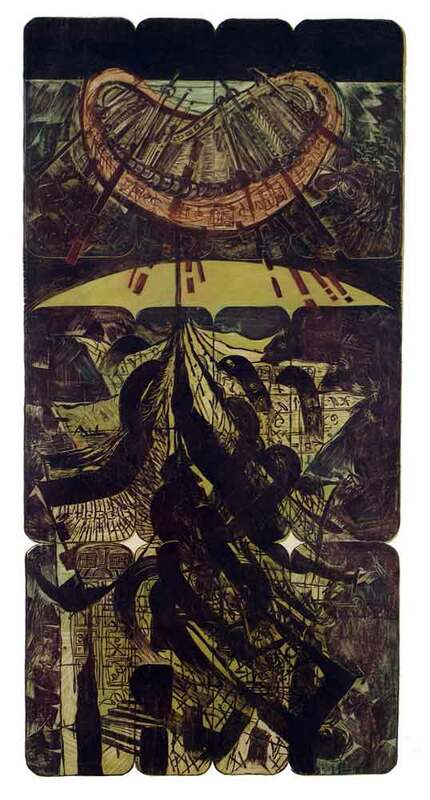 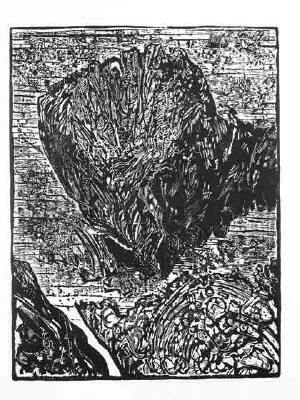 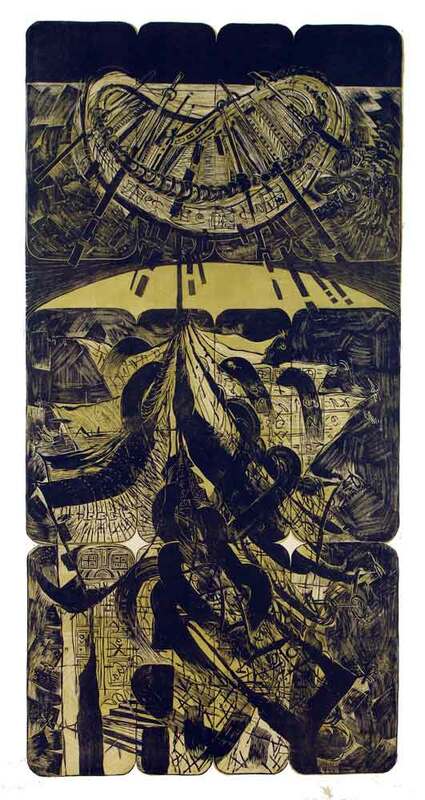 Woodcut, printed on Japanese paper. 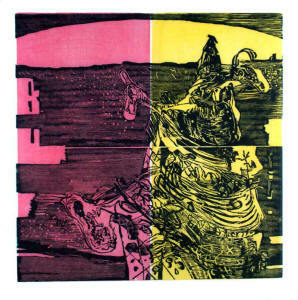 Woodcut printed on Japanese paper. 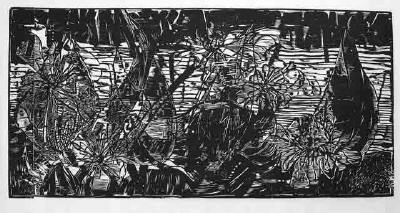 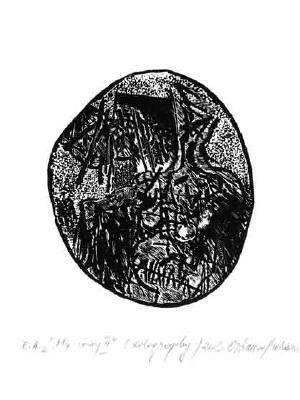 Black and white xylography on linden, printed on Japanese paper.